There are so many things we look at and thing, "Why didn't I think of that?" All the helpful hints and tips we find online save us time and money, but we often have to search through lots of information just to find a few gems. We spend a lot of time researching how to save time. Crazy, huh? These 10 tricks are the essential hacks you need to know. They tackle your household problems with easy and inexpensive solutions. 1. Move appliances easily (h/t Apartment Therapy) Avoiding cleaning under or behind your appliances because they are so hard to move? Make it a simple gliding process by spraying glass cleaner in front of the appliance. This allows the appliance to simple slide over your hard surface. 2. 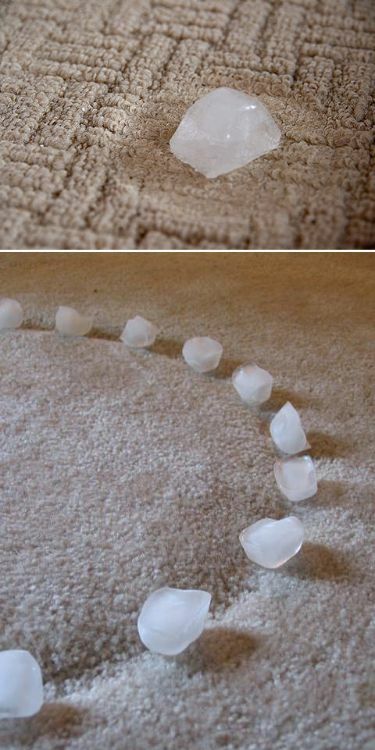 Use ice to remove carpet dents (h/t The Budget Decorator)Moving your furniture can often reveal carpet dents left behind. 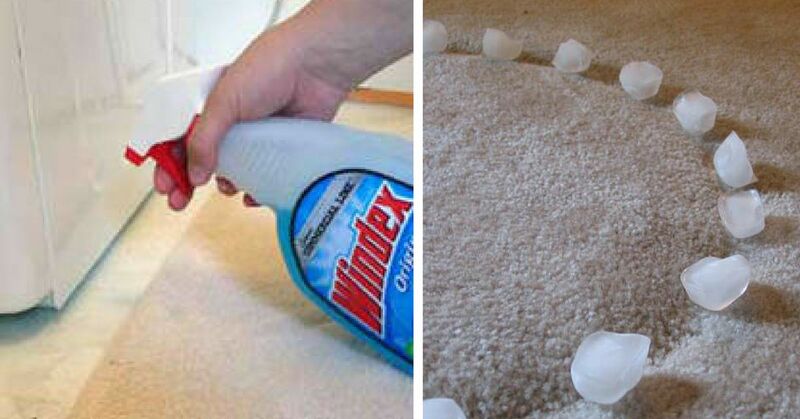 No need to get down and fluff the carpet up by hand if you use this helpful tip. Place a few ice cubes over the dented area. As they melt, the carpet will pop back. A quick vacuum and you will never know anything was ever there. A squeaky door can drive you crazy, but you just haven't had the time to purchase a lubricant for one hinge. You don't have to — simply look in your kitchen for dish soap. A couple of drops will eliminate the squeak and restore the peace and quiet to your home. You may have heard that stainless appliances are difficult to clean. You may even have been encouraged to purchase specialty stainless cleaners. All you need to have a brilliant shine is a few drops of Dawn dish soap on a sponge. Wipe with the grain, and then dry the area with a clean cloth. Adhesive labels are created to stick well on the items you purchase, but sometimes they stick a little too well. You don't have to waste time trying to scrape them off. Just place a scoop of OxiClean stain remover in a sink of warm water, and soak the items. The labels will slide right off. You don't need to scrub your hands until they are raw to remove spray paint, craft paint, or household paint. 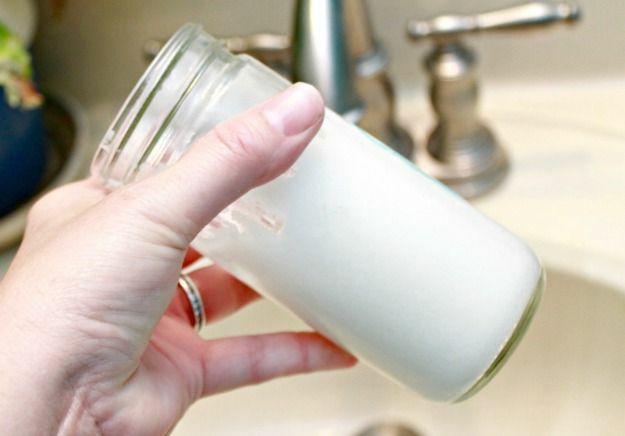 All you need is a 1:1 ratio of coconut oil and baking soda. The coconut oil helps dissolve the paint while the baking soda provides gentle grit. Having a tangled jumble of power cords costs you time and could potentially result in damaged cords that no longer work well. 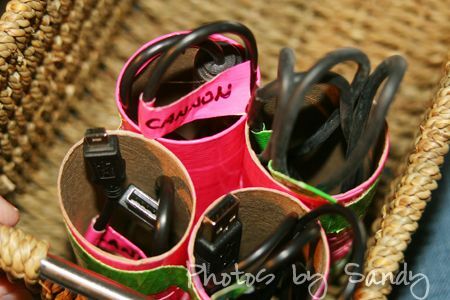 This creative idea uses toilet paper tubes to create handy places to store your cords. Simply wrap the cord, and insert into the tube. Labeling the outside saves you time when looking for a certain cord. Swiffer mops are excellent at controlling dust bunnies, but the replacement pads can be expensive. 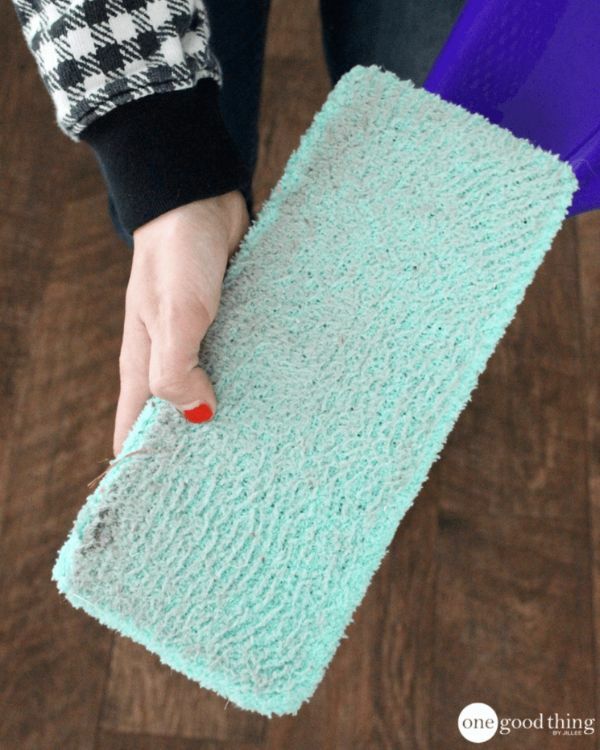 You can create your own reusable Swiffer pads using a fuzzy sock. The sock slips over the mop and catches all your dirt and dust. Simply throw it in the wash when you are finished Swiffering. 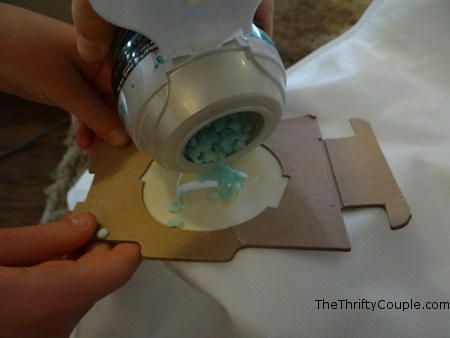 You can create a great-smelling home while you vacuum by adding a few laundry scent beads to your vacuum bag or canister. 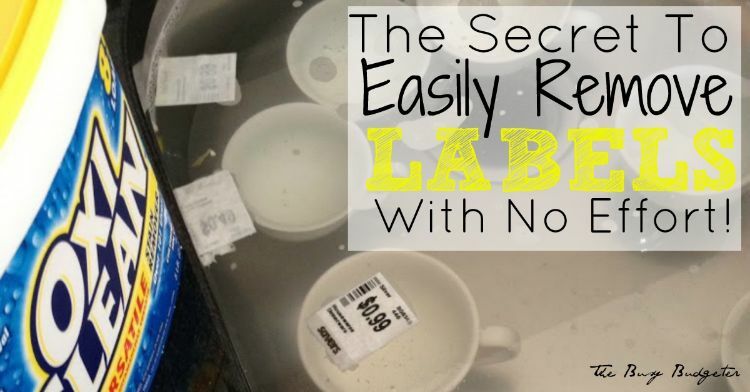 The Thrifty Couple recommends adding approximately 12 beads for weeks worth of good smells. Save yourself a lot of cleaning time by using a little prevention. 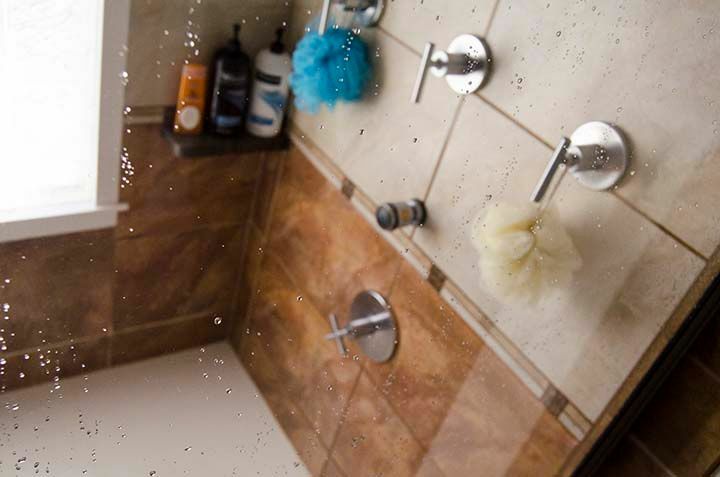 Applying a coat of Rain-X to your shower doors prevents soap scum and hard water mineral buildup. No more scrubbing and harsh chemicals with this amazing preventative tip! There are many ways to save time and money around your home, and these 10 are at the top of our list. Try them out, and share them with your friends and family on Facebook!